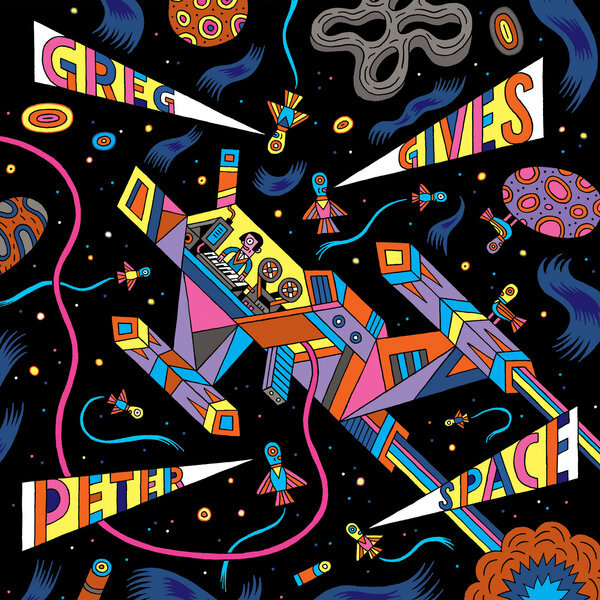 "The long overdue first collaborative work by Greg Haines and Peter Broderick. “Greg and I became good friends while both living in Berlin, around 2009 to 2013. We spent countless late nights playing records for each other, dreaming the dream of good music. We talked a lot about collaborating and even put in quite a few hours at each other’s studios . . . but for some strange reason we never seemed to finish anything. Maybe we were just busy enough with our other projects and didn't feel in any rush. But we certainly had it in mind that we’d like to finish something one day. And we are very proud to say that day is finally here! 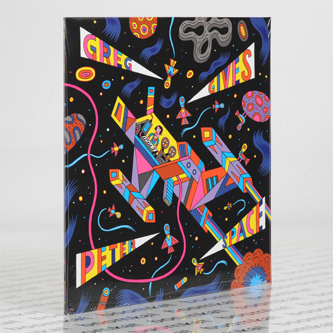 Primarily inspired by mine and Greg's recent obsession with dub music, Greg Gives Peter Space is a mini album comprised of six tracks filled with – you guessed it – spacey sounds, created with the help of Greg's ever-growing collection of synthesizers, tape delays and reel-to-reel machines. In the true spirit of dub music, many of the mixes were made live, both of us hovering over the mixing board, dancing around and following our intuitions, processing the sounds with live effects while the music bounced down to tape. We are extremely excited to release this record in the summer time and to celebrate with a few select shows around Europe. We’ve enlisted our dear friend Martyn Heyne to help us perform the music live, and we plan on bringing as much of the original gear from the recordings as possible. After years of playing fairly quiet music for an often seated audience, we can't wait to get on stage and bounce around to some groovy rhythms, heavy bass and spacey synthesizers. Prepare for take off! “ – Peter Broderick, April 2014,"